The current theme is: Addition by Subtraction which is one of my favourite quotes from the book, “Everything that Remains” by The Minimalists. 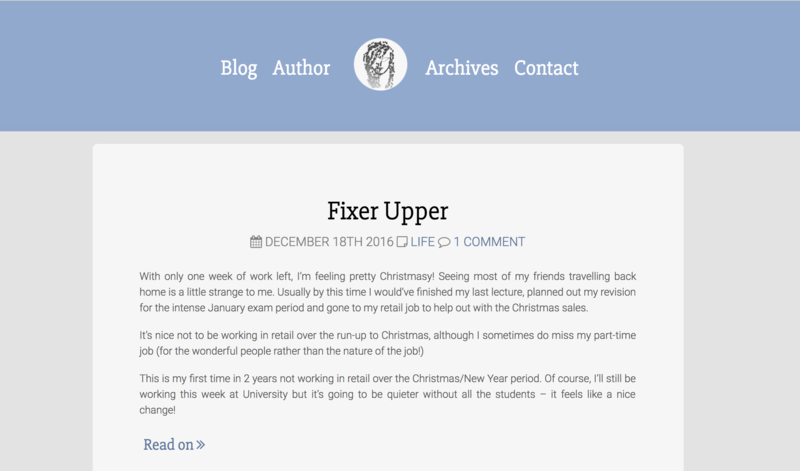 The aim of this theme was to reflect my more minimal approach to life and to focus on the content of each blog posts. Designed on the Twitter Bootstrap framework and went live on 1st of January 2017. 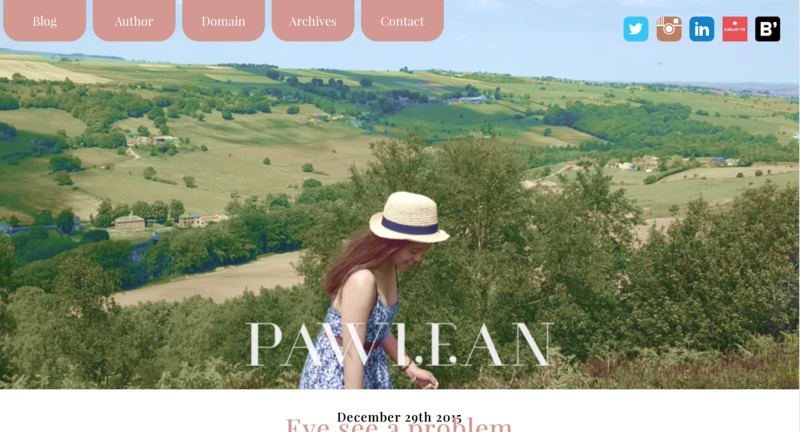 These are all themes that I designed and developed for this blog. I’m always learning new coding and web design tricks which I try to apply to my new designs. This one-column responsive layout was inspired by my hometown of 14 years. My hometown is quite known for it’s hills; the photo was taken in the summer of 2015. Edited in Adobe Photoshop CS6 to go with the spring colour palette in which I based/worked around the whole layout on. I worked around the grey brick wallpaper, inspired by a wall in my own home actually! Grey tones, two column responsive layout. On smaller devices, it’s one column with the footer merged with the sidebar. A simple white one-column layout.